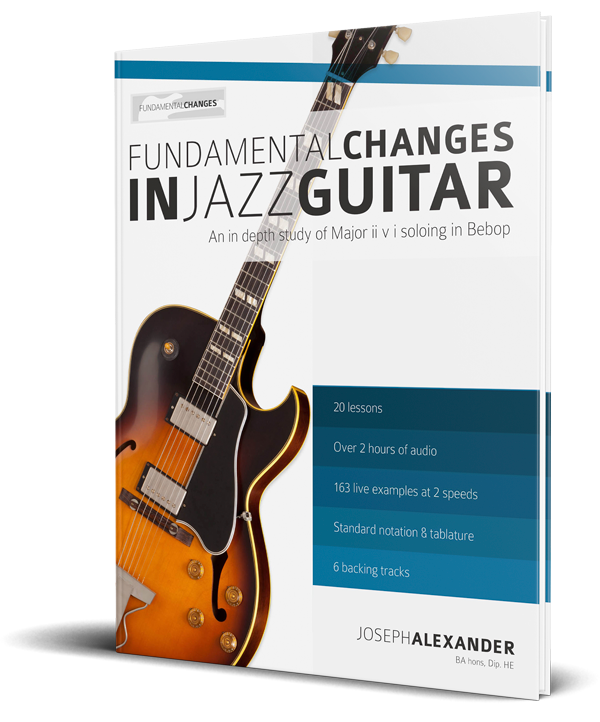 Containing over 2 hours of audio examples and backing tracks, Fundamental Changes on guitar is a logical, in-depth soloing study of the important major ii V I (2 5 1) in jazz. 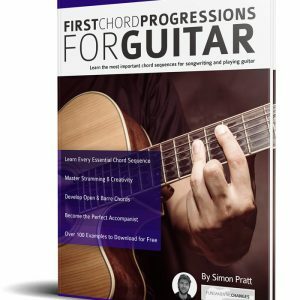 Aimed at the intermediate guitarist or first time jazz soloist, this important and comprehensive work takes the student from first principles right through to advanced substitutions and extensions that can be played over each chord of the progression. 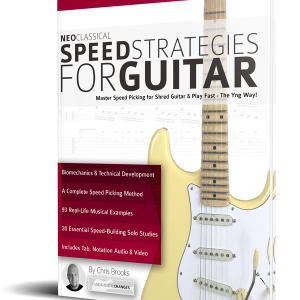 The focus of the ebook is on playing, rather than theory and whilst there is often a brief explanation of the necessary concepts involved, each of the 20 chapters emphasises playing and creating music. 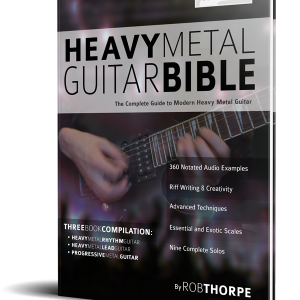 The book contains over 162 individual, notated musical examples in tablature and standard notation. 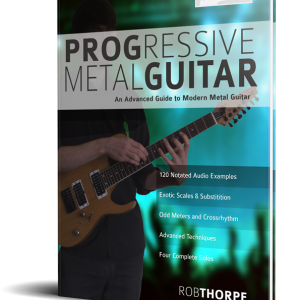 Each musical example has a corresponding audio file and they are all available for free download from a dedicated website. The examples are played at two tempos. 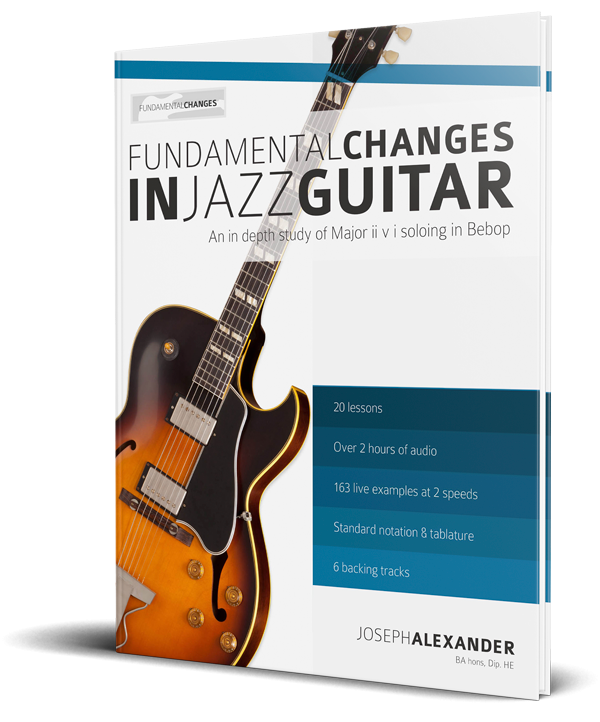 Fundamental Changes also contains 6 backing tracks for the student to practice the jazz lines they are learning to construct. The concept of this ebook is to get students to play jazz quickly, and absorb the theory naturally.